There’s the depths of winter, the height of summer…but what about autumn? The dry roasting of dust at the first switching of the central heating. The mushroomy smell of disturbed leaf mould under tyres, last year’s fall soft under this year’s new coating of crisp leaves. The golden glow of the morning sun burning mists off the trees, leaves auburn, red, orange and yellow. The tick tick tick of a cast iron wood burner reaching top temperature, the wet dog smell of drying merino socks warming in front of it. Woodsmoke mingling with low cloud and drizzle, catching your throat you you ride by. 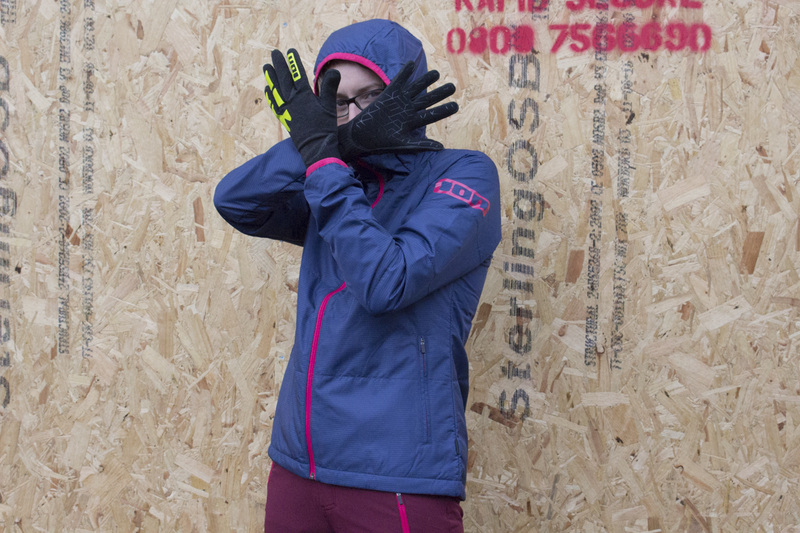 Morning commutes in chilled air, gloves, buff, jacket, layers. 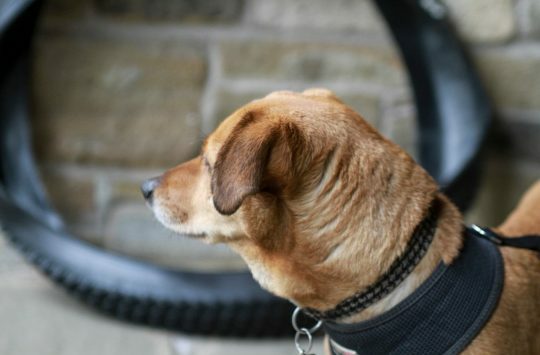 Weekend rides – is this the last dry ride, add another trail on, you never know, by next week it could be slop. Autumn. We are in it. The season of last chances, golden glimpses, first chills, first fires. There’s a warming glow about it. The bosom of autumn. Bosom. There we go. Enough of that flowery poetic stuff. Let’s lower the tone. It’s Fresh Goods Friday. Oh Hey There Hei Hei! 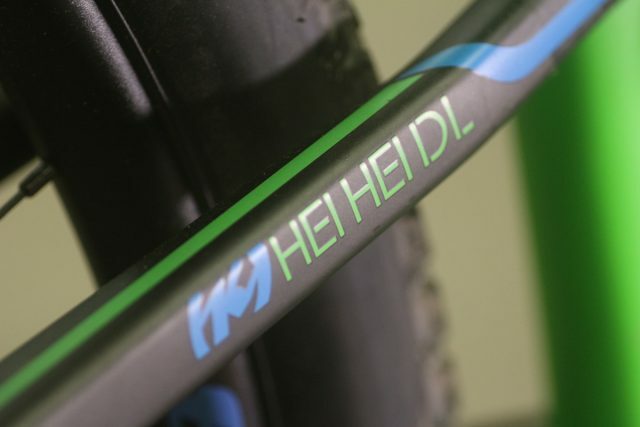 This lovely bright green whippet is the 100mm travel Hei Hei 29er from the Kool Kats at Kona. 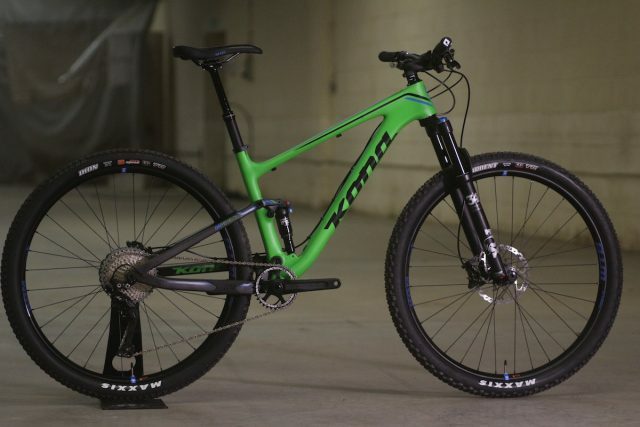 It’s a short travel XC 29er bike, but Kona has added a little drop of radness into this lightweight carbon beast, with a 68-degree head angle and a 120mm travel Fox 34 fork up front. 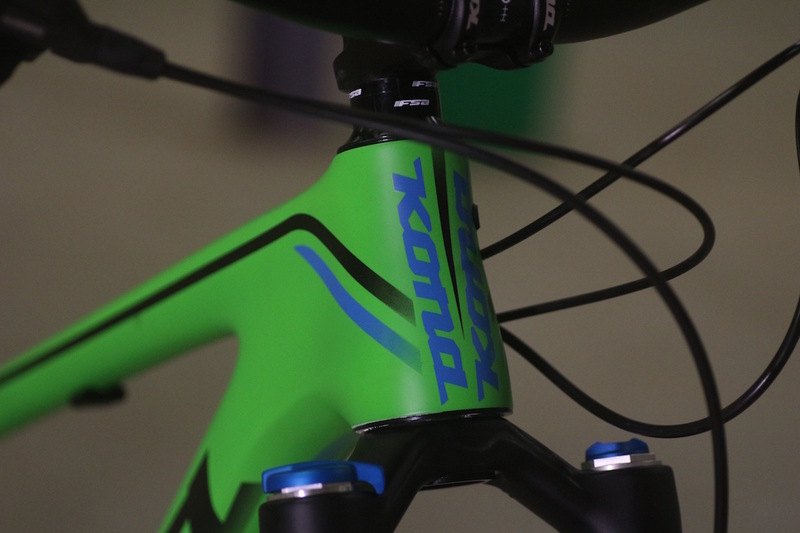 Bright and colourful be that Kona. We’re digging the blue and green combo. 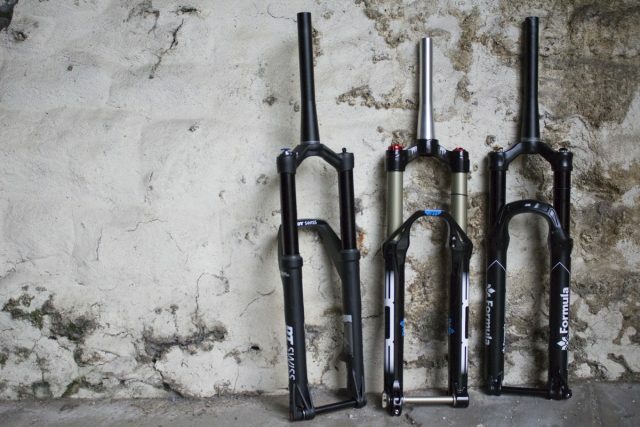 There are alloy and carbon versions of the Hei Hei, and you can get it with 29in or 27.5in wheels. Our Hei Hei DL 29 has got the carbon treatment, with a lovely carbon fibre front and rear triangle. 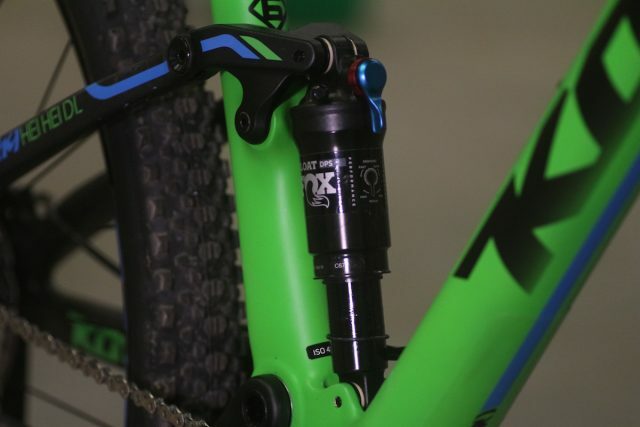 Kona’s Fuse suspension design out back, with a simple single pivot and rocker link arrangement. Keeping things lightweight and simple, the FUSE suspension design employs a one-piece carbon fibre sub frame that does away with any pivots around the rear dropouts, instead relying on the inherent flex of the carbon fibre structure to give it the necessary movement to compress throughout the 100mm of travel. There’s a tiny little Fox FLOAT DPS shock out back that controls the rear travel. 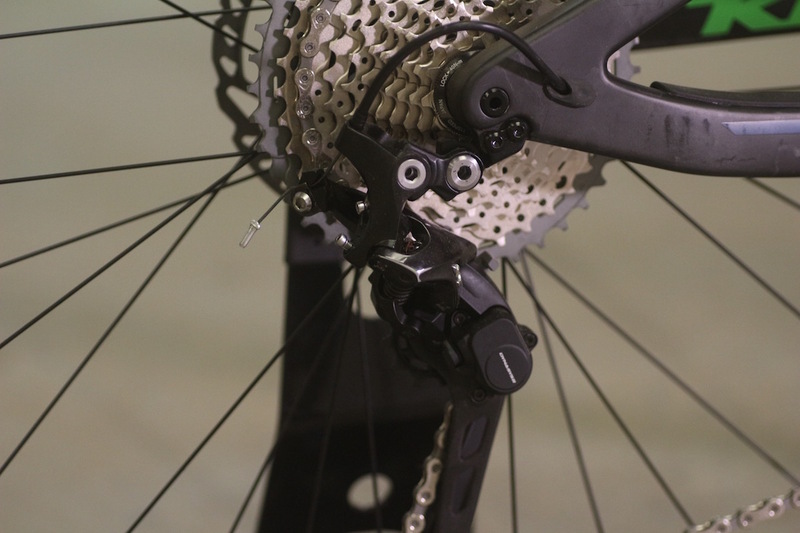 Wide-range cassette delivering 11-speeds out back. The Hei Hei DL 29 comes spec’d with a Shimano Deore XT shifting, with an 11-42t cassette offering 11 speeds of fun along with the Shadow Plus rear derailleur. 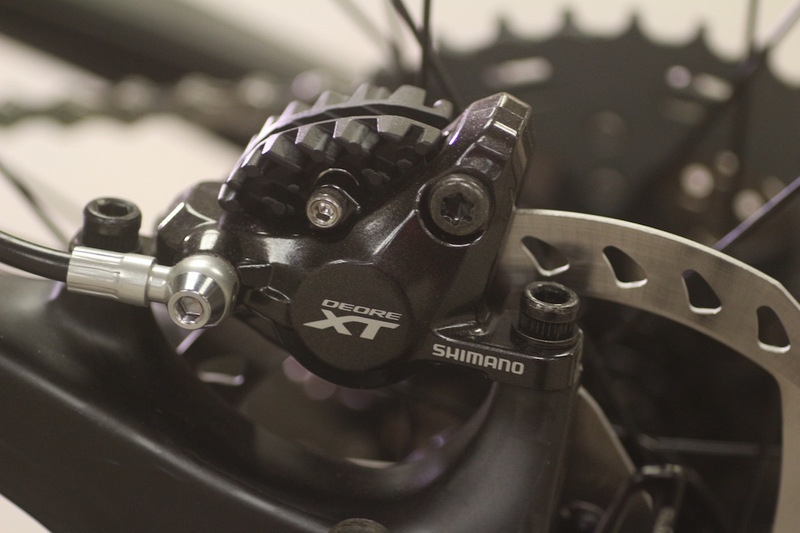 Shimano Deore XT brakes. 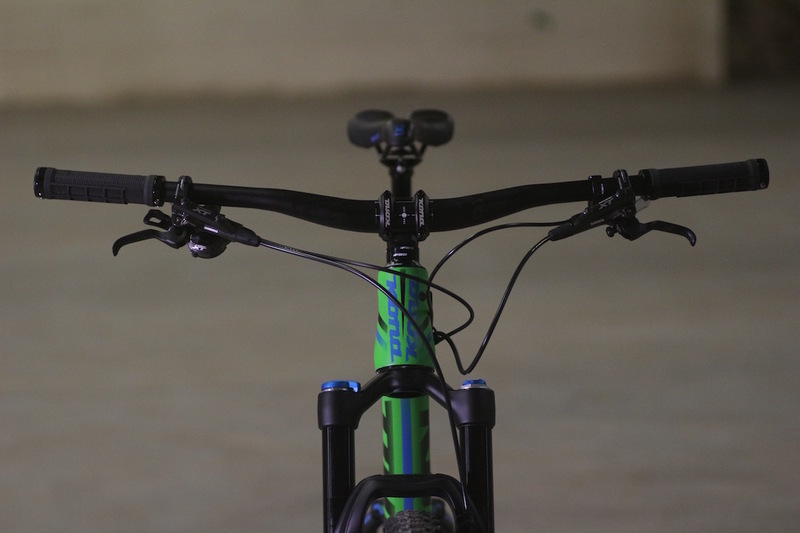 Smooth, slick, and finned for your braking pleasure. Shimano XT brake lever and trigger shifter share the same clamp on the bars for a very neat look. 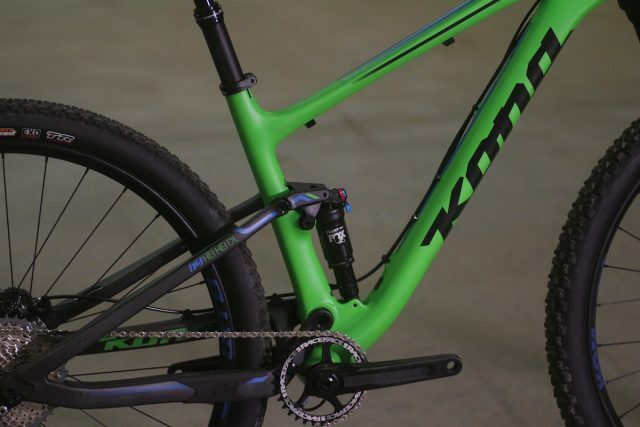 Kona has its 29er geometry pretty dialled these days, and the short stem and wide bars on the Hei Hei DL offer the modern touch too. Will the Hei Hei be Good Good? We shall find out and report back to you soon! 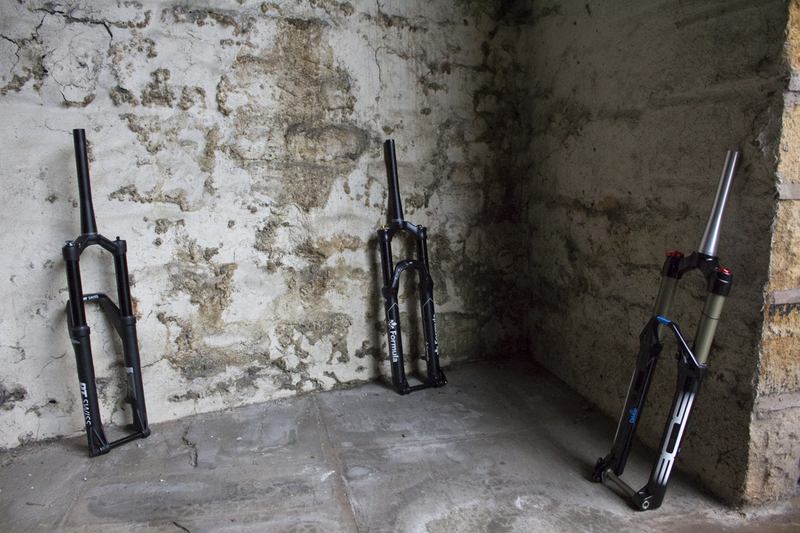 Forks, lurking in shady corners, trying to look innocent. Hmm…what could we possibly be testing soon? Boys, the next shipment is due tonight. Look out for cops. BOS. Leader of the gang? 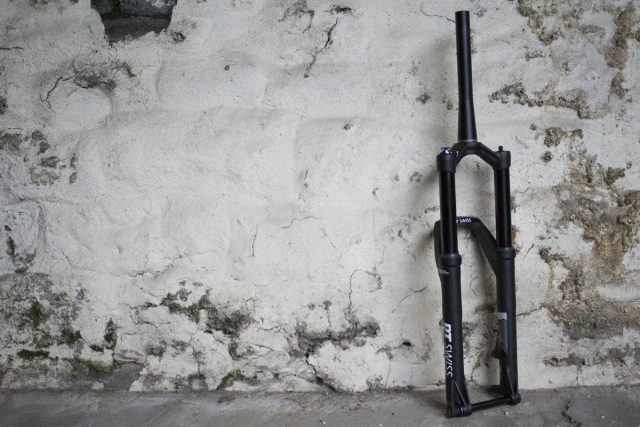 In our upcoming trail fork grouptest, the BOS Deville AM is one of the more rare options floating around on the market. Designed to ride all of the mountain, it’s available in 140mm and 150mm travel options and is built for 27.5in wheels. It’s air sprung, and it has a 3-way compression adjuster to keep things simple and intuitive. How exotic is its performance? 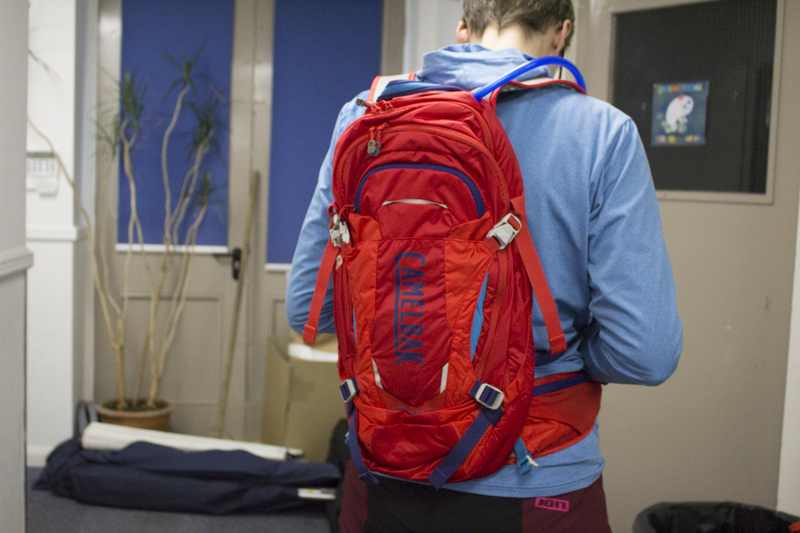 We’ve got some testing going on next week and will keep you posted on this one. DT Swiss. The gang’s money man. 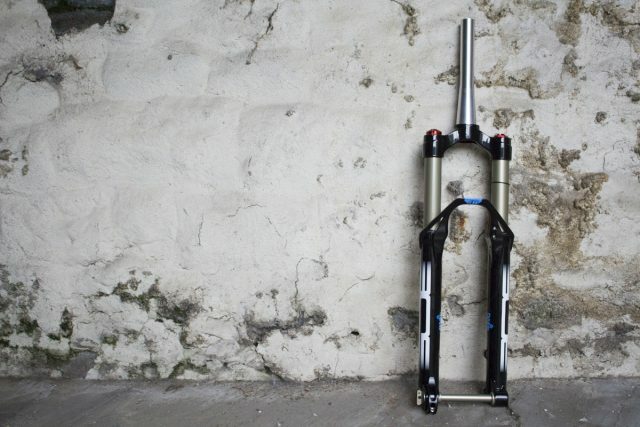 Another exotic European for our upcoming fork grouptest is the OPM from DT Swiss. With slender 32mm stanchions and a reverse arch magnesium lower, the OPM fork comes in with an impressive 1600gm claimed weight for the 140mm travel option. 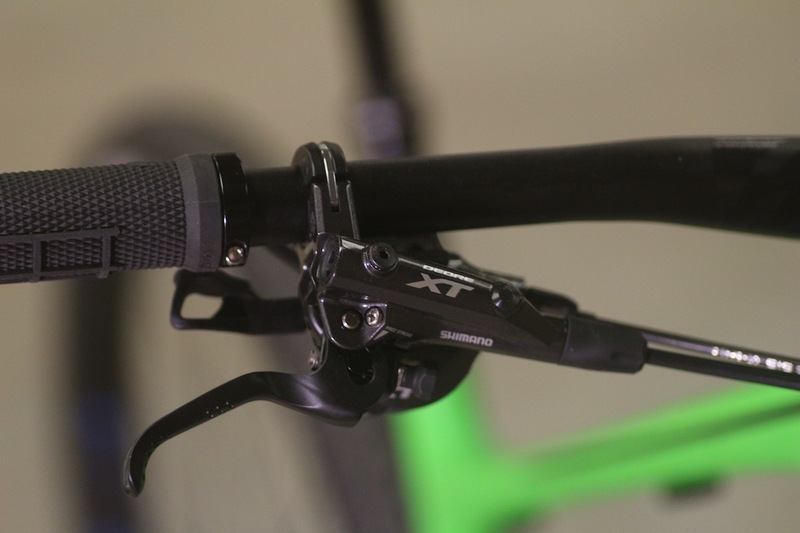 Like the BOS, the DT Swiss OPM fork features a 3-way compression adjuster called ‘Open-Drive-Lock’. It certainly looks purty. Formula. Checks that the goods are pure. 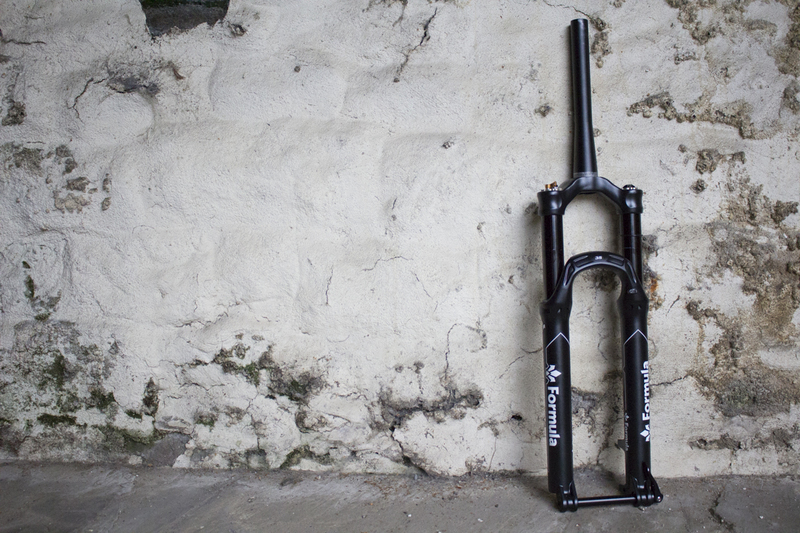 Rounding out this week’s European suspension fork contingent is the 35 fork from Italian manufacturer, Formula. This guy packs in bigger 35mm stanchions and a tough look overall. A unique hybrid air/coil spring system hides within, while the sealed damper cartridge is controlled by the Swiss Army Knife-like array on the top of the R/H crown. How will our Euro fork contenders do against the likes of the RockShox PIKE and the Fox 34? We intend to find out. Ohhhh yessss we do! Is James afraid, or disapproving? After two kids, for some reason these bottles reminded Hannah of something. The one on the right is insulated, the one on the left is not. Squishable squashable bottles that won’t take up too much room in your pocket or pack. Those tops open right out for easy cleaning when you take the lids off, but otherwise you just press the button and it opens a small valve to let only a little bit of liquid out at a time. Not the whole lot onto your lap. 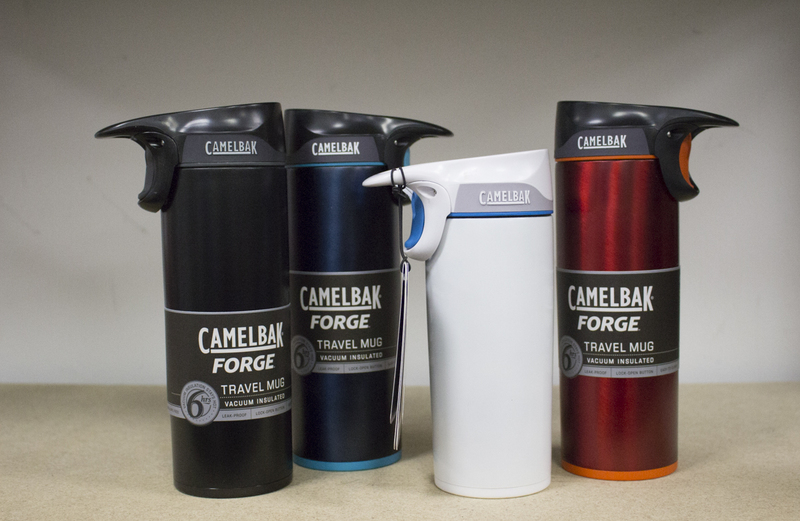 Which is just as well, as these keep your coffee hot for HOURS. HAWG! Now that’s not a very nice thing to say about Hannah. This picture does not do justice to the size of this monster. HAWG stands for Holds a lot of Water And Gear, apparently. 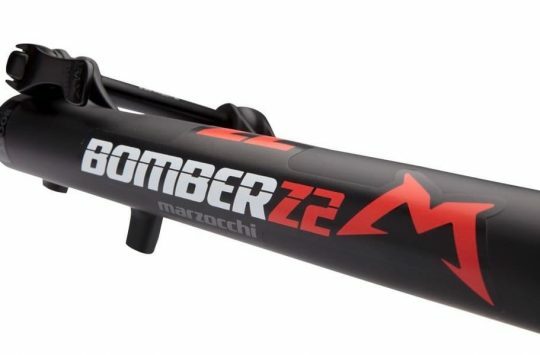 This takes the new lumbar reservoir. Check out this report for the full low down. Fanny pack. Stop sniggering at the back. In subtler colour for 2017, this bum bag. 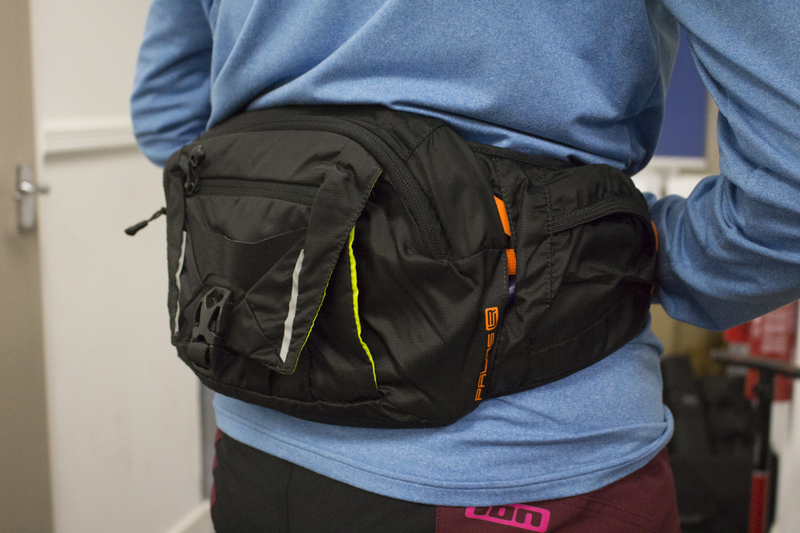 Or indeed fanny pack for our American friends. We still have friends in America, we think. 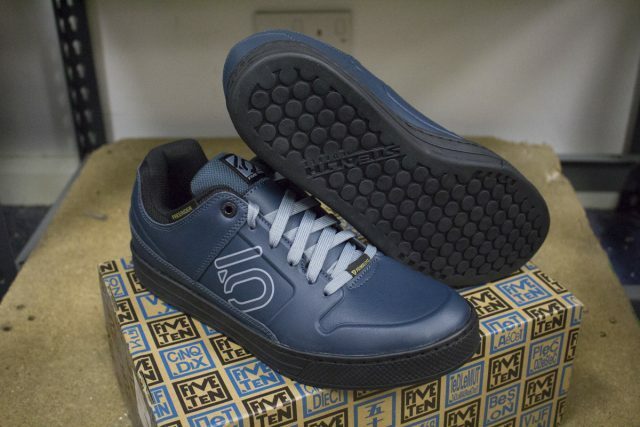 There’s something of the Tron about these. A more bargainous offering from the makers of the well established Vaults. Arguably the flat pedal against which all others are measured. 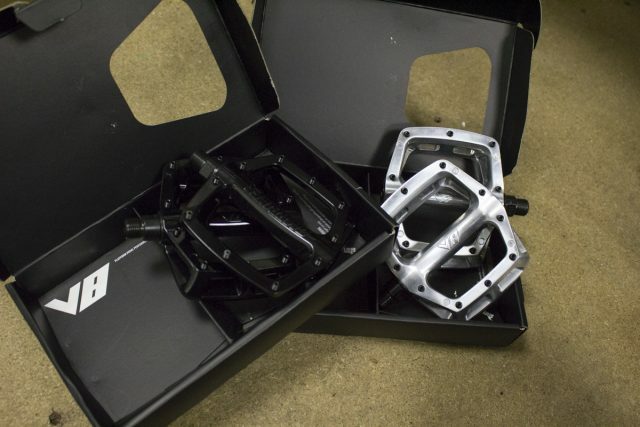 Slim profile pedal with tuneable pins. 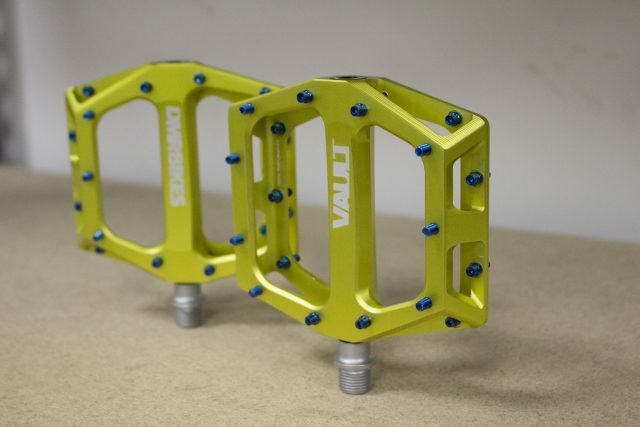 Available in many many colours, so you can match your bike. Or clash with it, if you’re of the Chipps school of colour. Sticky soled insulated slippers of love. Lined with Primaloft Gold Insulation Eco. which is made from 90% recycled plastic bottles. This is the lo-top version – there’s also a hi-top version available, which makes us go ‘oooh!’. Socks. This caption is hilarious. 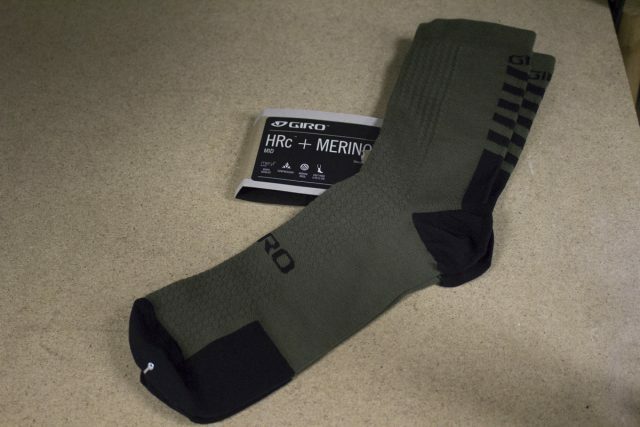 Socks for running in, but that probably also work for riding bikes. 26% Merino wool to keep your tootsies warm. Socks. Insert amusing caption here. Subtle socks. Also available in much less subtle colours. ‘Compressive qualities to promote increased circulation’. 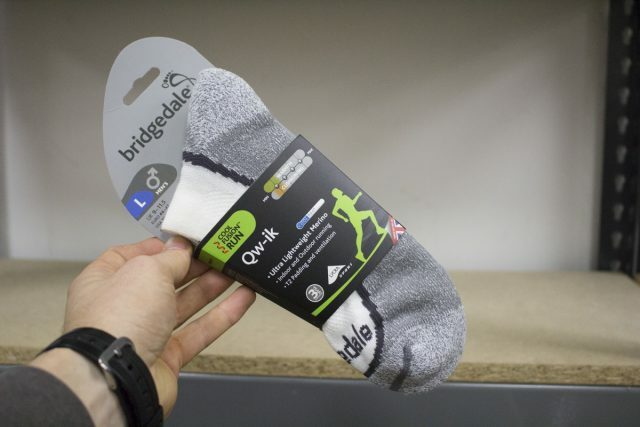 And if that doesn’t help keep our toes warm, the Merino should. Dancing to the nastee beatz. That bass is bangin. Or something. Breathable gloves with ‘Poron® XRD™’ protection. Intended for protection when riding, Hannah, not fighting. 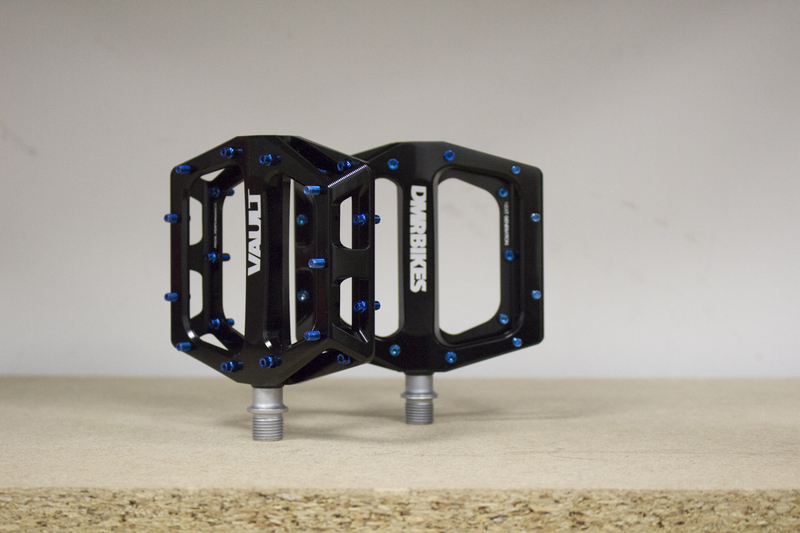 We brought you news of these before, and then Chipps got his hands on one (and his head in one) at the Cycle Show in Birmingham. In case all that has passed you by however, this is a helmet. 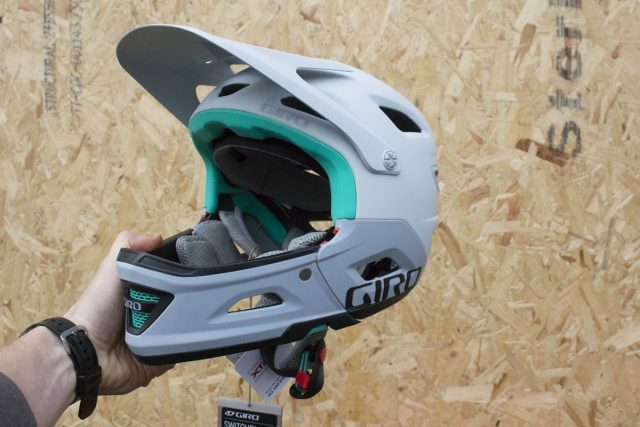 A helmet with detachable chin guard for all your Enduro needs. 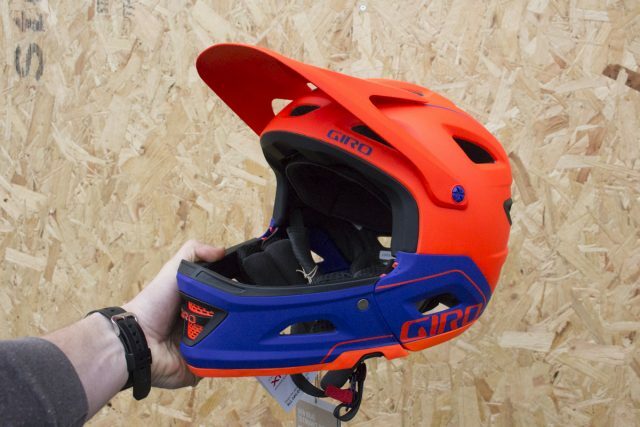 No chin guard, but still pretty Enduro. 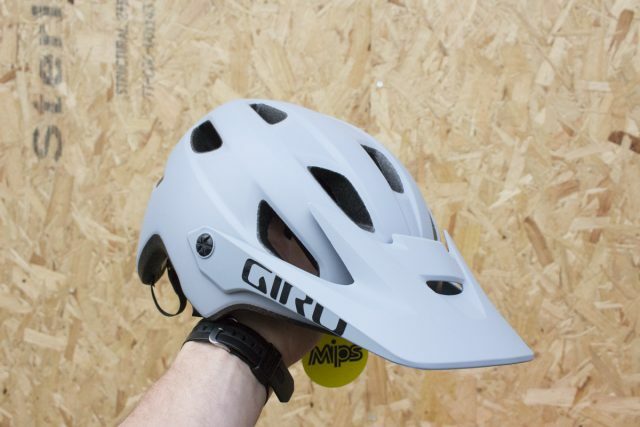 Goggle compatible trail helmet with adjustable visor. Available in many colours. Sweeet. Hannah, international woman of mystery. We have no idea where she gets her poses – it’s a mystery. 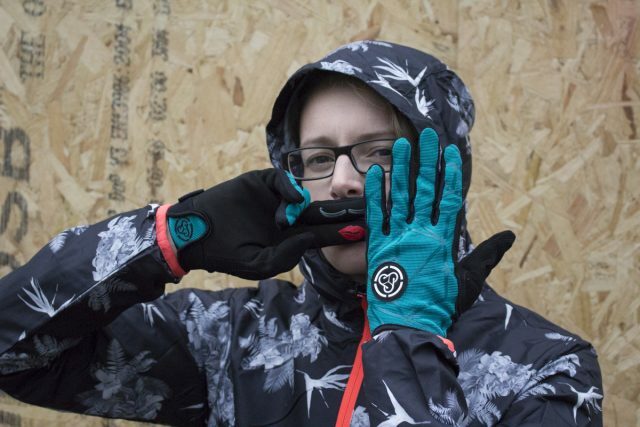 Neoprene gloves for when it is cold and wet and unpleasant. Brr. 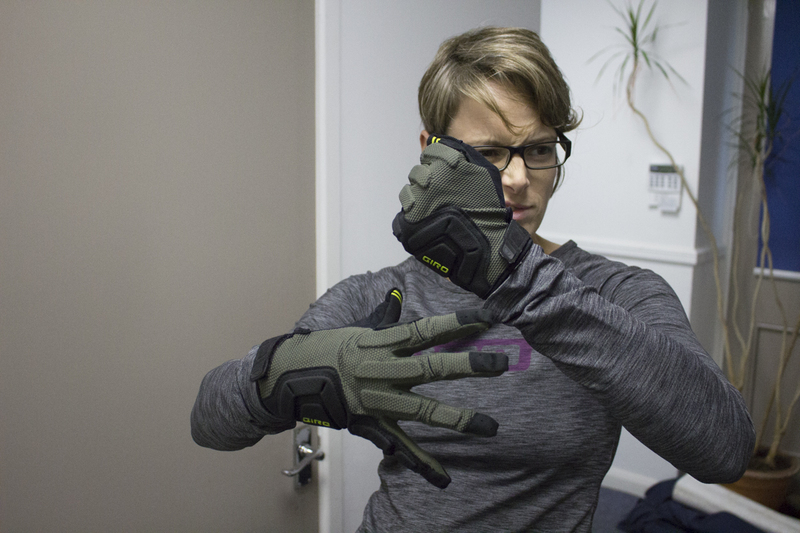 But not in these gloves, we hope. 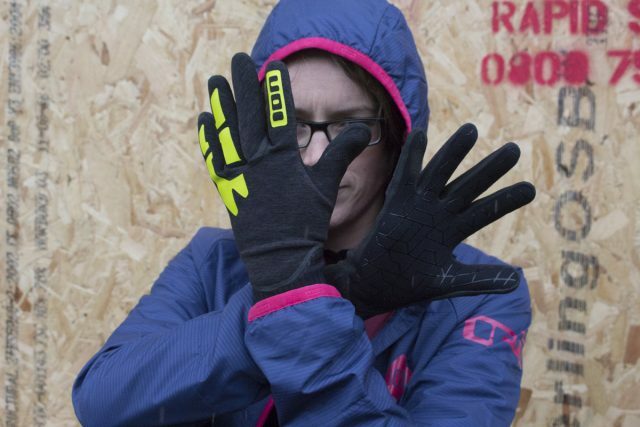 Ion makes wetsuits, and their know how from that has gone into these gloves. Hannah in unconvincing ‘c’mon then let’s fight’ pose. Also for when it is cold and horrible, a toasty warm baselayer complete with hydrophilic parts to improve wicking of sweat away from the body. A rather fetching blue with pink detailing jacket for when it’s cold…there’s a theme emerging here, right? 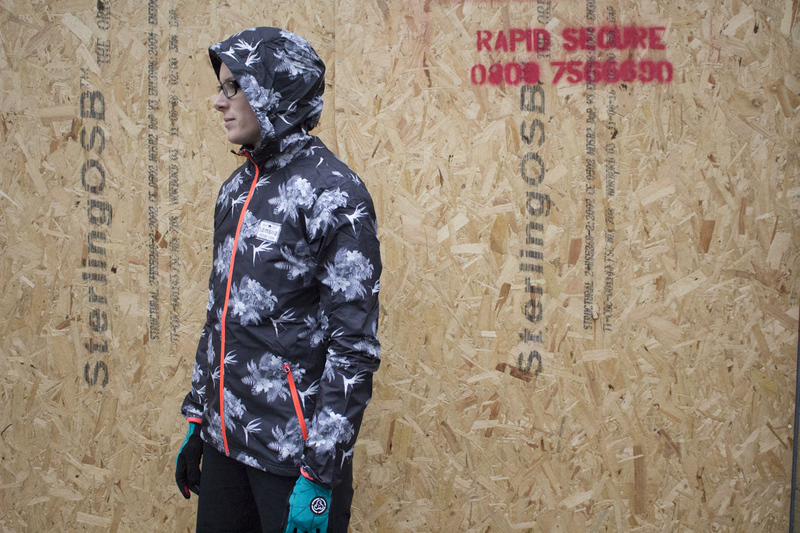 Warm and cosy and lined with Primaloft Silver and lightweight so you can stuff it in your pack when you’ve worked up a sweat. This is as cold as it gets, right? 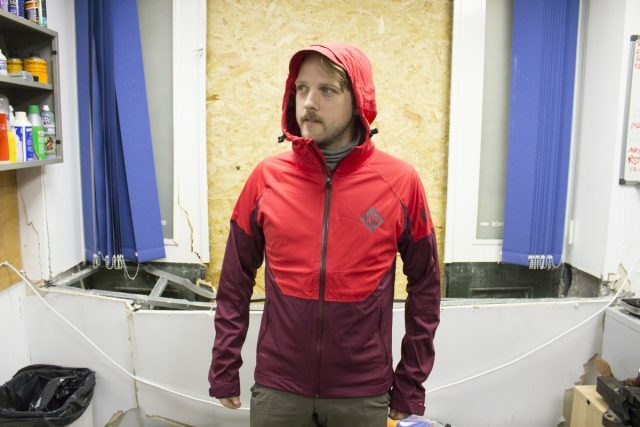 Waterproof and windproof jacket for young Wil here, standing in the remains of our post-ram raid workshop. 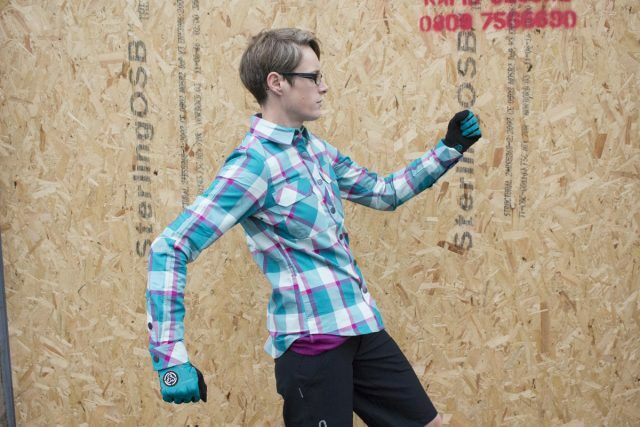 Specifically designed for bike riding, there’s also a women’s version available. Hannah’s replacement legs have finally arrived. No, these aren’t odd socks, these is a single pair. And no that isn’t some strange body augmentation implant on Hannah’s legs. These are socks with built in protective HD memory foam pads, to stop you walloping those tender bones. 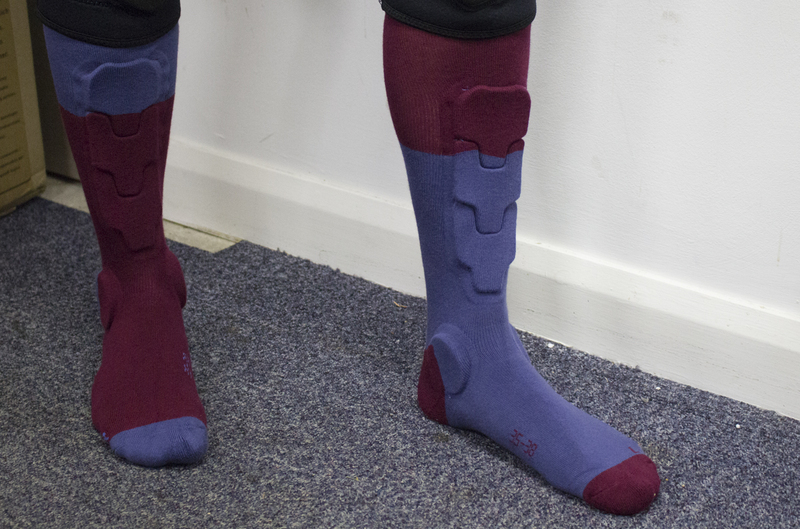 We rather like the Robocop Shin effect. 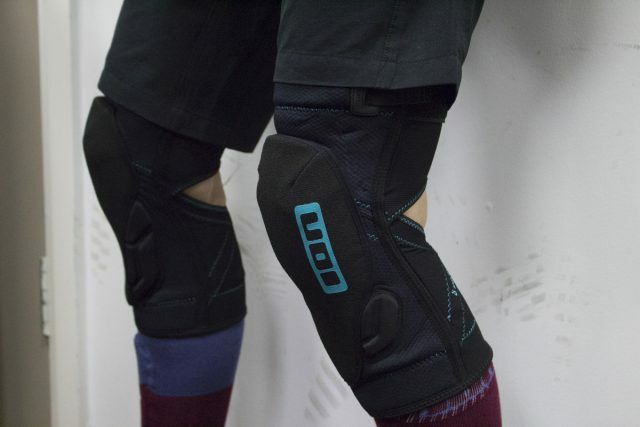 Light weight knee pads with adjustable velcro fitting around the thighs, as worn by Richie Rude. Not this actual pair though. That would be a bit gross. Made with memory foam for extra flexibility. 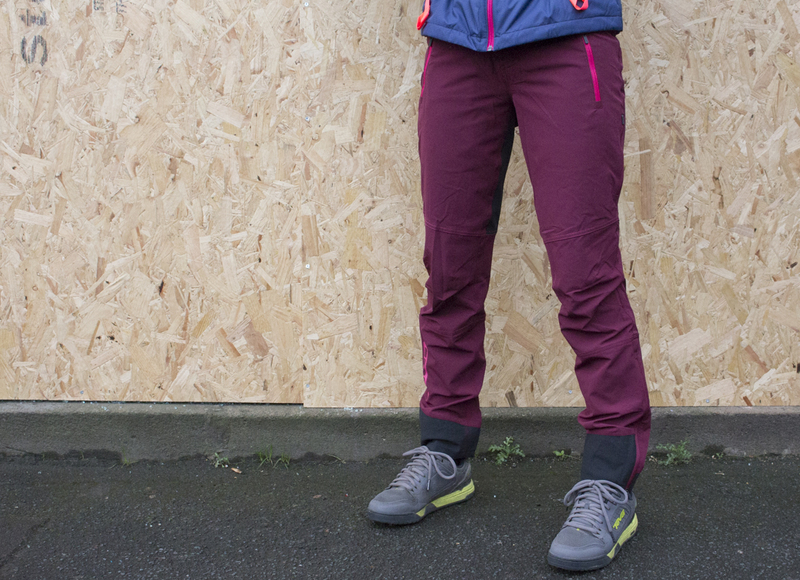 Also available in a men’s version (the ‘Impacts’), these are DWR coated trousers. 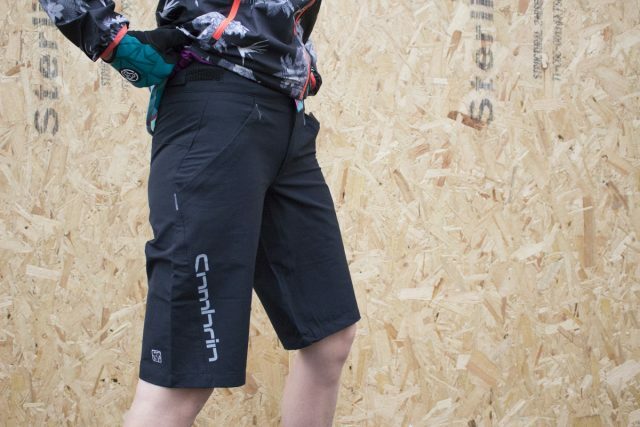 Tapered legs and stretch fabric for bike friendly wearing, pockets for many things, including a neoprene one for your phone, and ventilation for if things get too cosy. As a change from shorts and leggings we are truly curious to see how these work out on the bike for winter. 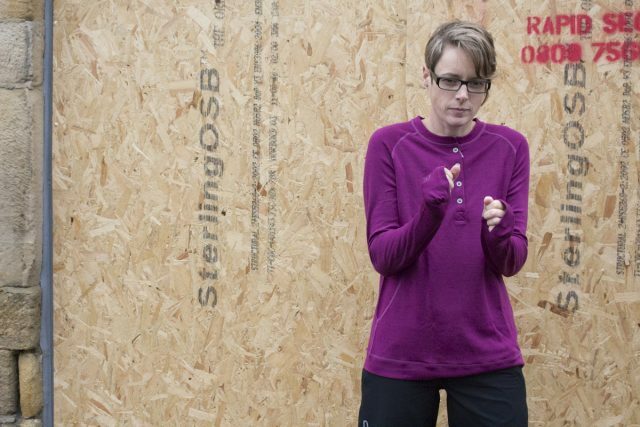 Cosy top with button neck and thumb loops. Promises to keep the stink at bay with all those natural fibres. 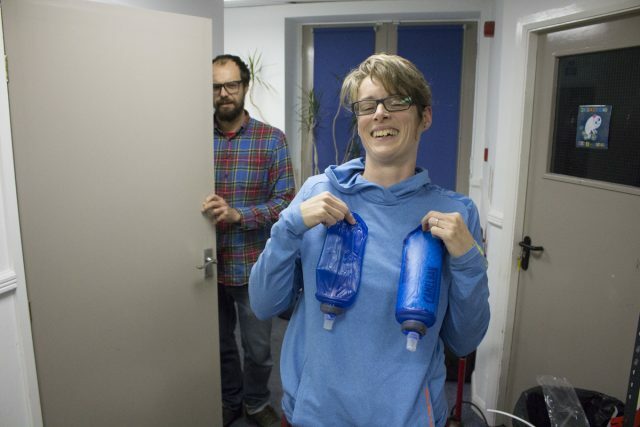 Which is good, as people in the office have been wondering how to raise the whiff issue with Hannah. Neoprene gloves, what kind of club is Hannah going to? Slightly less cosy top, but still with whiff resistant properties. Hanging out in the ‘hood. Shorts that reach the knee. Hurrah! Rufty tufty shorts for girls who shred. Wheels. Still round, despite all the innovation. 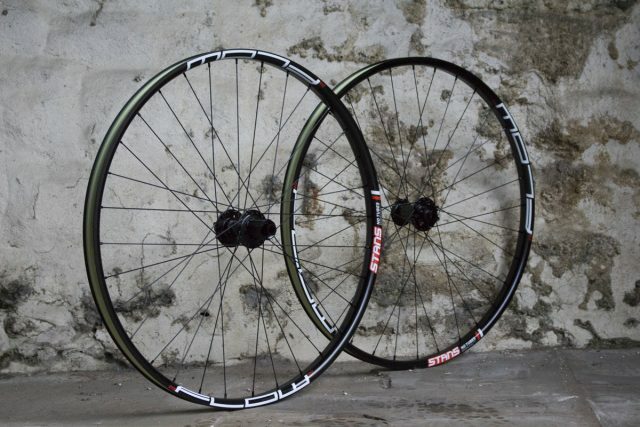 Tubeless ready wheels. Hear all about them here. These are the 27.5in flavour, however you’ll also be able to get them in 29in and 26in. And here’s our Live version of Fresh Goods, that we broadcast every Friday afternoon. Check out and like our Facebook page to be notified when we are next live. And that folks, is it. It is officially Friday. Proceed towards the weekend. And indeed half term. May you all survive half term unscathed. 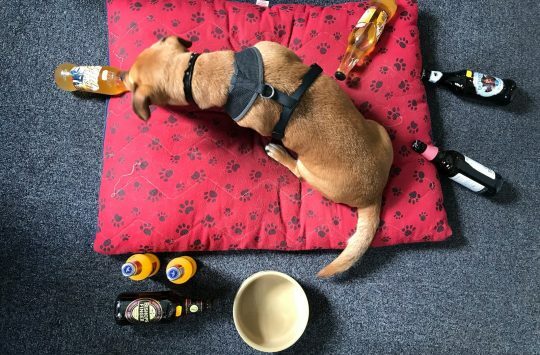 May you survive the weekend only lightly scratched by brambles and stung by that last remaining nettle that has concentrated all its stinging power into that leaf that caught you. Chipps will be back next week. Here’s a little song to cheer him up as he leaves his warm weather holiday behind and returns to the bosom of a Yorkshire autumn. 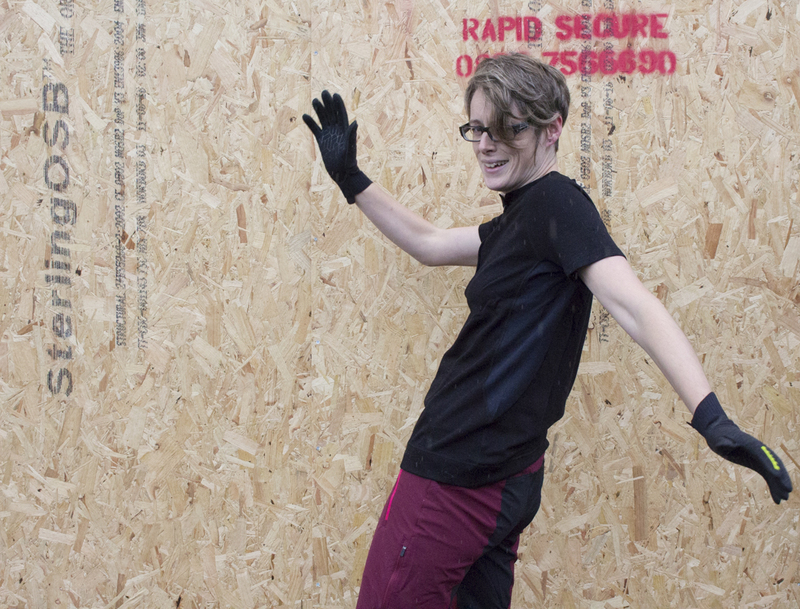 That post ram raid shuttering makes an awesome back drop. Youe defo need some local artists to work on it though! As for Zelak, I’m liking the squat chic though it need some added tags for extra authenticity. 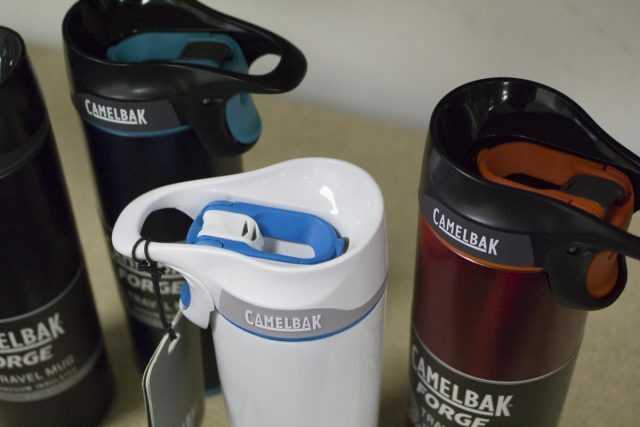 Them camelback forges are in tk maxx….they work and are rather functionally fine. How on earth can Formula forks be £100 more than the Bos Devilles!? That kona looks very nice, the asymmetric cable routing is messing with my OCD though!